Ships tomorrow if you order in the next 18 hours 47 minutes. Activated charcoal has been used for many years, and may provide a number of health benefits. 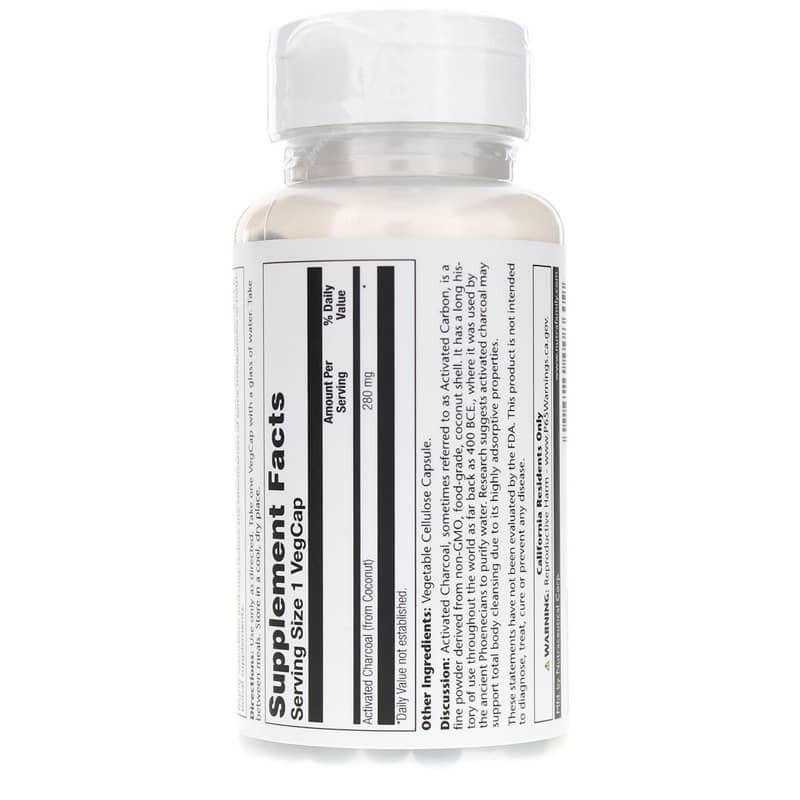 Made as regular charcoal and then heated with a gas to help it expand and become more porous, activated charcoal is capable of binding to and trapping toxins inside your body to help enhance detoxification. 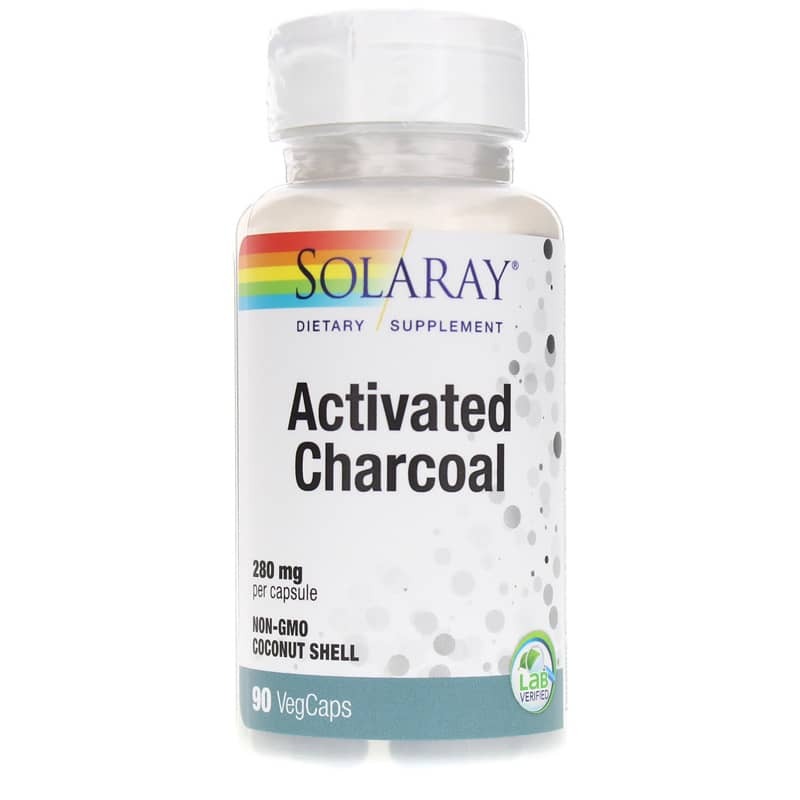 Solaray Activated Charcoal provides 280mg of activated charcoal in every capsule to help enhance your natural detoxification process and provide other benefits as well. Because it's such an absorbent supplement, activated charcoal may decrease the usefulness of other medications you take orally. It's a good idea to wait to take activated charcoal for at least an hour after taking other medications by mouth. Improve your body's natural detoxification processes the natural way. Choose Activated Charcoal from Solaray today, and stay on the all-natural pathway toward optimal health and an increased sense of wellness. Order now! Adults: Use only as directed. Take one VegCap with a glass of water. Take between meals. Store in a cool, dry place. Works great and quickly. Also works great if we've mistakenly gotten a dose of MSG in something - it seems to counteract the miserable feelings from MSG.. Essential part of the medicine chest for us and the dogs. Very effective - great tool if you are chemically-sensitive! My husband and I are both chemically sensitive and absolutely love this product! Any time we have been around a chemical/perfume and are feeling cloudy we take a couple and start to feel clear again. A friend at work had a reaction to an ingredient in a dish from a potluck and so I shared a couple with her. Cleared her up as well - she was shocked as she could never find something that worked! A great tool to keep on hand! 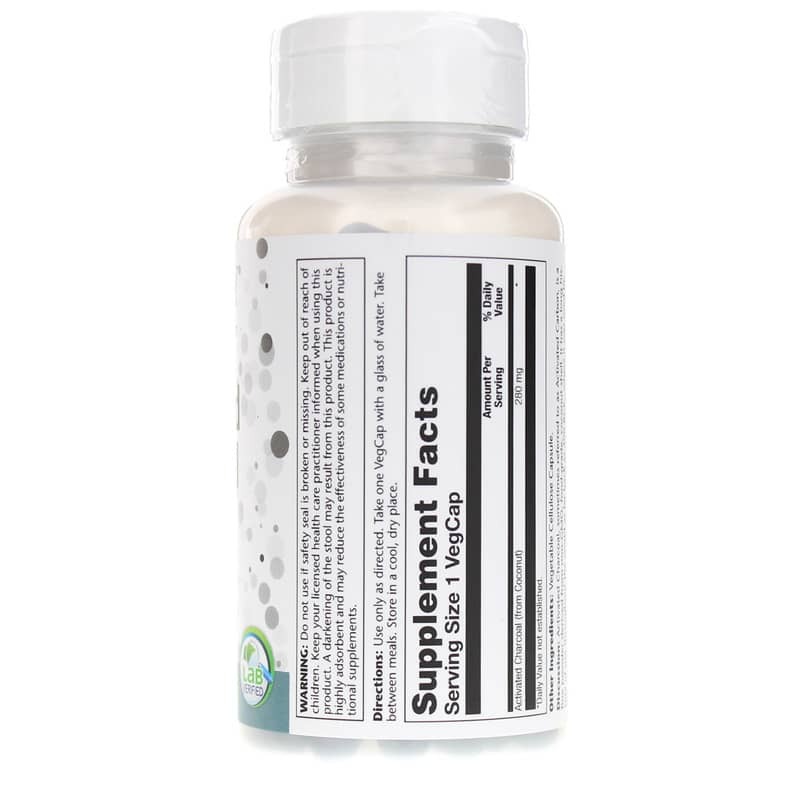 !<br><br>To top that off shipping and service from Natural Healthy is absolutely amazing - we buy all of our supplements here! So good - never had a broken bottle or any damaged shipments. In Ohio we usually receive these in 2 days!! Love NHC! !